What does LUV really mean? The word is about to take on a new meaning and sunscreen brand, SunSense, is ready to shout it from the rooftops, as skin cancer rates continue to soar in the UK. Ultraviolet (UV) radiation is a known carcinogen and as a proven cause of cancer, SunSense believes that it’s time to change the meaning of the word LUV to help educate the nation. 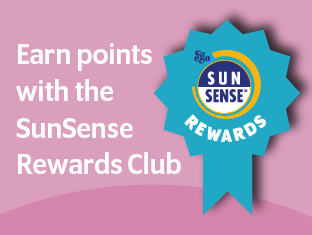 This summer, SunSense will set out to spread the word of LUV and show people how a little ‘Less Ultra Violet’ will help to keep their skin protected. The first phase of the campaign will begin at This Morning LIVE on 17th – 20th May, where SunSense will be asking visitors to step under a special UV camera. The camera will reveal any sun damage that is invisible to the human eye, as well as showing how sunscreen helps to block harmful UV rays. SunSense will also reach out to healthcare professionals to arm them with the tools and resources they need to educate patients on sun protection, hosting Sun Awareness events and attending specialist exhibitions. 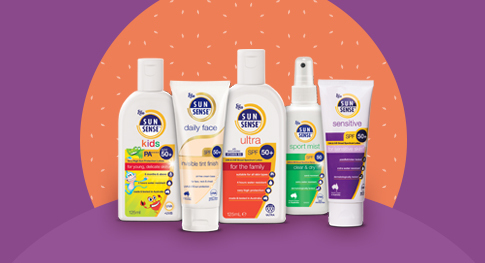 Made and tested in Australia, SunSense sunscreens provide the highest SPF available and offer both UVA and UVB protection. Now with over ten specially developed products available in the UK, there’s something for all ages and skin types, including sensitive skin and the delicate skin of young children. Vallejo-Torres L, Morris S, Kinge JM, Poirier and Verne J. Measuring current and future cost of skin cancer in England. J Public Health. 2013; 36(1): 140-148. Green AC, Williams GM, Logan V, Strutton GM. Reduced melanoma after regular sunscreen use: randomized trial follow-up. J Clin Oncol. 2011; 29(3): 257-63.